Titles of nobility are one of those areas Americans have particular trouble wrapping our minds around. It doesn’t help that the rules and application of British titles are extremely complex, and have changed in multiple ways over the centuries. In some respects, reading the various titles or hearing them uttered in a movie is akin to hearing a word or phrase in another language. Typically we decipher the vague idea, but may well skim past without fully comprehending. Is a Lord the same as a Sir? A Prince is above a Knight, but where does a Marquess fall in the rank? Does it even matter? For answers to those and other questions, specifically during the Georgian and Regency Eras, read on…. Royalty Titles: The reigning sovereign (king or queen), the wife of the king, and the immediate offspring. Sons of the sovereign were styled princes since Tudor times; daughters were styled princesses from the Restoration. The style of “prince” and “princess” were not titles granted to an individual, but rather an appellation customarily used to indicate the relationship to the sovereign, and membership in the royal house. Essentially, a prince and princess were courtesy titles with the bearer technically a commoner until granted a peerage title. The one exception has almost always been the eldest son, who from birth was granted a dukedom to immediately elevate his status. Additional sons were not necessarily granted a peerage title until the modern age. As for children of a prince or princess (the monarch’s grandchildren) the situation so rarely arose due to short life spans that it was not addressed until King George I. For most of the years during the Georgian kings, all direct grandchildren were styled as prince or princess, and addressed as “Highness,” however whether granted the “Royal Highness” formality varied and was not firmly applied by decree until 1864. Peer of the Realm: A man who holds one or more of the five possible hereditary titles of nobility attached to the estate(s) bestowed upon him or his direct ancestor by the monarch. Although other members of his family might be addressed as “Lord ____” and “Lady ____,” none of them are peers; their titles are courtesy titles, including his wife’s, although she is usually called a “peeress.” The five titles, in descending rank, are: Duke, Marquess, Earl, Viscount, and Baron. Peerage: – noun 1) a type of title of honor; 2) a collective term for persons, called peers, who possess certain titles of honor; 3) a reference book listing peers and their genealogies. Where (1) is concerned, the reader should bear in mind that not all titles of honor are peerages (for instance baronet and knight, which I will discuss later). Origin: 1175. The term peerage derives from the Latin word par– equal. The sense of “noble” (1382) is from Charlemagne’s Twelve Peers in the old romances, like Knights of the Round Table, originally so called because all were equal. To the extent that all peers with seats in the House of Lords have tended to be summoned to it irrespective of their relative rank, importance, or wealth, the term still has some relevance. But not every holder of a peerage is summoned to the House of Lords. Minors are not, for instance, nor are Irish peers. Between 1707 and 1963 Scottish peers elected representatives from among themselves to sit in the House of Lords. The number of peers has varied widely over the centuries, although there have always been a smaller number of Dukedoms than any of the other noblemen. There are two ways that a peerage can end or become extinct. The first is by attainder, which is what results when the sovereign becomes upset with a particular peer and revokes his peerage. This has happened historically for offenses such as unsuccessful rebellion against the crown. A famous example is the Duke of Suffolk, whose peerage was attainted, and his head removed from his body, because he placed his daughter, Lady Jane Grey, on the throne as Queen in 1553. The second way a peerage can become extinct is when the current title-holder dies and there is no heir who can trace a direct descent from the first peer or who is ineligible to inherit according to the terms of the original creation. When a peerage becomes extinct, it reverts back to the crown. The crown can bestow the title anew on a member of a different family, but this would be a new creation requiring new letters patent. Orders of Precedence: The incredibly detailed list of all nobility in the precise order of their rank from the sovereign on down. There are separate lists for males and females. 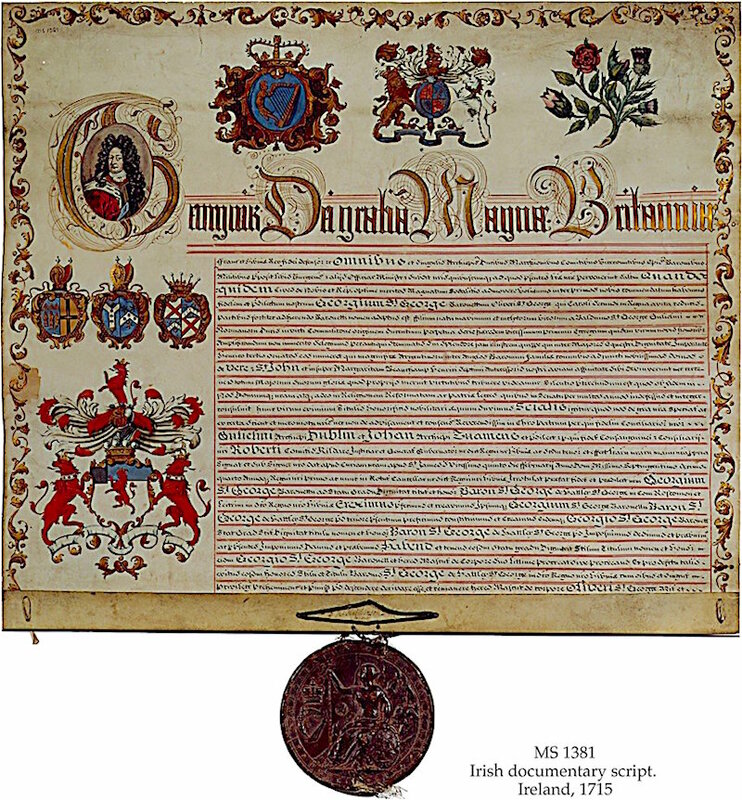 Letters Patent: (always in the plural) are a type of legal instrument in the form of a published written order issued by a monarch granting an office, right, monopoly, title, or status to a person. Approval of Parliament is unnecessary. 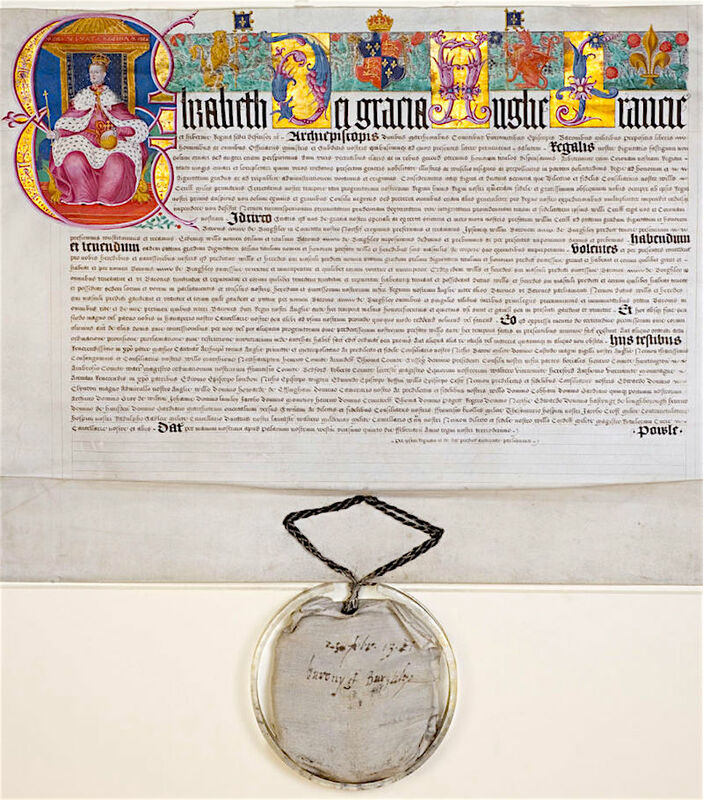 The term is derived from the Latin verb pateo, meaning “to lie open, exposed, accessible,” thus, letters patent are open records which are available to the public. They serve many purposes, only one of which is for the creation of peers of the realm. Details within the letters patent would include the lands awarded the peer and issues of succession. Courtesy Title: Any honorific prefix extended by custom to relatives and wives of a peer. A peer of high rank who possesses several titles can actually “loan” one of his titles to a son, but this does not allow the son to be considered a peer. Peerage titles are granted by a ruling monarch and are hereditary in nature, meaning they are passed on to the next generation. Typically this is the eldest male, but in the case of no direct heir, the rules are detailed and inclusive as to who inherits the title. Only a peer may be said to hold a title “in his or her own right” (more on the females in a moment). ALL other titles are a courtesy. It is typical for additional titles to be granted to the same families as the generations pass, resulting frequently in one person who may possess a number of peerage titles and the lands associated. 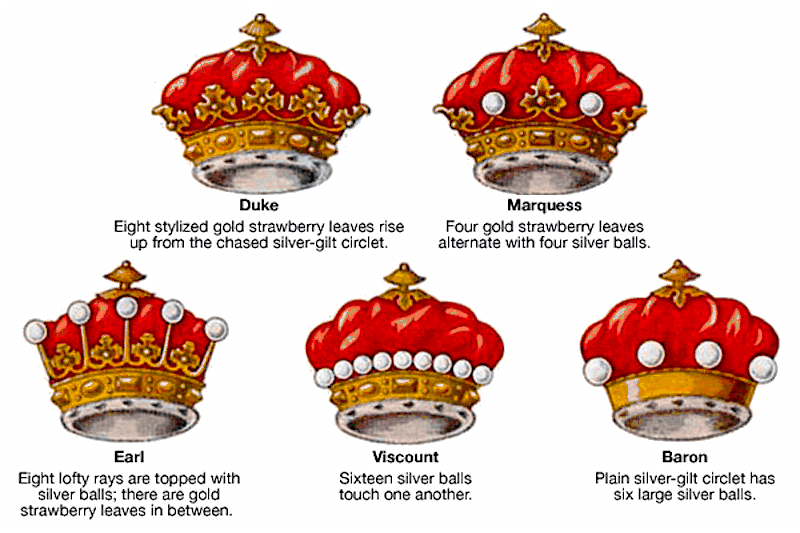 If a family is once ennobled and subsequent title-holders continue to impress the crown with their valor, services, friendship, or sometimes their money, additional titles could be granted to the same family. The higher one’s rank, the more likely he holds other lesser titles. One way to understand this is the example of an academic who furthers his or her education with higher degrees. The lower degrees do not become null and void, but the higher degree takes precedence and is the one primarily referred to. The difference between Dr. Smith with his dozens of degrees and Lord Jones with his three titles is that Dr. Smith’s name remains unchanged, whereas Lord Jones’s name will grow with each added title. Furthermore, when formally introducing a peer it would be essential to list each title in proper order from highest to lowest. To not include each name would be a serious breach of protocol! Duke: From the Latin dux– a military leader or general under the Roman Empire. Originally Dukedoms were granted to powerful military men with the necessity to rule over large regions, especially those along the borders. This military distinction faded over time. Dukes were exclusively close blood relatives of the monarch, and thus also royal, until the 16th century. With or without royalty in play, a duke is of extremely high prestige, the crowning glory of very rich noblemen who sat in the House of Lords and also controlled several seats in the House of Commons due to the vast lands they owned. A duke is always referred to as “Your Grace” or “The Duke of ____” referencing the geographical region under his rule. They are never addressed as a “Lord” nor by their family surname. Marquess: Pronounced mahr-kwis. Derived from the term “march” as in the border zones, and first created in 1385. Also known as Marquis, which is the French spelling. Almost always associated with a place and referred to as “The Marquess of ____” or “Lord _____” although on rare occasions a surname may be preferred. As undoubtedly noticed, peers of the realm are addressed as “Lord _____” with the exception of a duke who is always “Your Grace.” Technically, anyone who sat in the House of Lords wore this title, even a duke, although never would a duke be referred to as such. In addition, “Lord” was a general term of address for several classes of English dignitaries, such as judges, magistrates, bishops in the Church, and high ranking political appointees. Quite confusing! One rule of thumb: Not all Lords are Peers, but all Peers are Lords. Knight: A title of honor conferred to the individual for his lifetime only, meaning it is not a hereditary title and not attached to a particular estate or region of land. Thus, it is the lowest of all the ranks, and granted as reward for a special service rendered, primarily in the military field. Referred to as “Sir John Smith” or just “Sir John” although the latter is considered a more familiar form. It is important to emphasize that these two are not peers of the realm, and therefore do not sit in the House of Lords. A fascinating aside: There are 3 hereditary Knighthoods of feudal origin in Ireland, the only hereditary knighthoods in existence. They are The Black Knight, The Green Knight, and the White Knight. If you thought titles for the menfolk were confounding, you ain’t seen nothing yet! Beginning with the wives of a peer, which are relatively simple and mostly follow the same rules as their ranking husband. For the rank of a baron, it gets tricky. The wife of a baron is addressed as “Lady _____” and not as a baroness. A true British baroness is a female who has earned a Barony “in her own right”, and she would be “The Baroness ____” or “Lady _____” This is very common among the Scottish peers of the realm, as many titles are conferred to “heirs general” rather than specifically to a male. When it comes to the children, the rules are so complex as to be staggering. In general, sons and daughters of a duke, marquess, and earl are addressed as “Lord ____” and “Lady ____” with “The Honorable” or “The Right Honorable” added in formal situations. Children of viscounts and barons will also use “The Honorable” but are merely a “Mister ____” or “Miss ____” Sadly, for children of a baronet and knight, they get nothing special. Peeress in Her Own Right: In rare cases peerages are passed to women due to the “heirs general” inheritance stipulation, as noted above for a baroness. This was far more common in Scotland than England. When this happened, all the daughters had equal right to the title, which “goes into abeyance” until the reigning monarch “terminates” the title in favor of one of them. Other peerages were created by letters patent as a special remedy to a specific woman — Anne Boleyn, for example, was created a Marchioness in her own right by Henry VIII — but this has historically been extremely rare and most often were only life peerages, meaning the title did not pass to her children. If a hereditary peerage was created for a woman, it would have been stipulated within the patent to pass to a male. However she came by the title, a woman who holds a title in her own right, is noted as being, for example, “suo jure Countess of ____. suo jure is merely Latin for “in one’s own right.” Additionally, no matter how high the rank, until 1958 women were excluded from the House of Lords. Dowager: The widow of a peer possessed of a dower, or life interest in part of her husband’s property. Of course, like all of this it is never simple and there are multiple rules! In all cases, a widow would continue to retain her courtesy title until the heir marries. Once there is a new wife assuming the hereditary courtesy title, the widow becomes, for example, “The Dowager Countess ____” If the widowed dowager were to remarry another peer, she would assume her new title of rank. If, however, her new husband were a commoner, she would remain a dowager and keep her courtesy title. Fascinating! How did you know that just yesterday I was thinking about looking up all the various British titles and trying to untangle them in my mind? You’ve saved me a bunch of trouble not to mention that there are bits here that I probably never would have discovered. I’ll be keeping this post and referring to it often whenever I find myself facing stories about various titled characters. Many many thanks! So happy to be of help, Janis! It’s rewarding to be able to provide info in this way. Goodness knows I rely upon the wealth of information blogged on by fellow writers. Several books on titles say that one never refers to a baron as such except in a peerage or as to his seat in Parliament. he is always Lord Title and everyone knows he is a baron. Older books and lists printed in the regency peerage list widows of peers as dowagers no matter the status of their sons, or even if they have a son. AS you have noted, the subject is more complex than it first appears and not even all English authors get the titles of characters correct. Between 1800 and the establishment of the separate nation of Ireland, a number of Irish peers were elected by their peers to have a seat in the UK House of Lords. They held their seats for life. The Scottish representative peers were only elected to serve the six years of one parliament. In both cases the peers who were eligible were those without a peerage from England, Great Britain, or U K.
The tables of precedence takes the five different peerages into consideration as there is also precedence within each rank according to the kingdom in which their peerage was conferred- England, Scotland, Ireland, Great Britain and United Kingdom This isn’t much of a problem among the dukes but can lead to some jostling among the barons. It was also how seats were assigned in Parliament. Irish peers who weren’t elected as representative peers could be elected to the House of Commons but Scottish peers couldn’t. From the reformation until the late1820’s /1830’s no Roman catholic could serve in Parliament either in the House of Commons or House of Lords though Catholics could be peers. Big changes in the 1830’s in parliament and then in the 20th century with Life Peers , It is sometimes difficult to find the way things were in the past. Thanks for the additional info, Nancy. I really appreciate your insights! I can’t tell you how many times I’ve read over all of this stuff, and it is still largely Greek to me. I love the quote by Oscar Wilde as it sums up my sentiments exactly! Baron and baroness are quite confusing. I had a baron in one of my novels, and finally just went with the Baron____ format, as well as the Lord _____. Just easier. As for the houses of Parliament, far too confusing to even go there. I’ll leave politics out of my novels, for that alone. LOL!